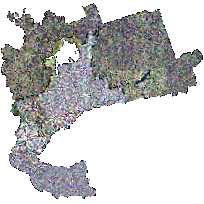 The Greater Toronto Area (GTA) Orthophotography Project 2002 consists of over 26,000 one-square-kilometer tiles of orthorectified colour imagery for the Greater Toronto Area. The imagery features 20 cm pixels for Niagara, Hamilton, Halton, Peel, York, Toronto and Durham, 30 cm pixels for Simcoe, and 50cm pixels for Peterborough and Northumberland. The imagery was flown in the spring of 2002. The imagery was collected for use by the municipalities in updating official plans and general monitoring of property and land use. It can be used within the OPS for a variety of uses, including land-cover determination and infra-structure location. The digital orthophoto imagery tiles are provided in GeoTIFF format. Images can be accessed through image software that support this format. Alternatively, Geographic Information Systems can be used to view the imagery and contour data within a spatial context. ; MrSid; GeoTIFF. First Base Solutions Inc.: First Base Solutions Aerial Imaging (FBS): The orthophography tiles were derived from aerial imagery captured by First Base Solutions during the spring of 2002. Aerial photography was captured using a film (frame) camera, scanned and then orthorectified.